These Slow Cooker Stuffed Portobello Mushrooms are perfect to make for a holiday meal! Click here to see The BEST Instant Pot Party Dips. Click here to see The BEST Slow Cooker Game-Day Recipes! 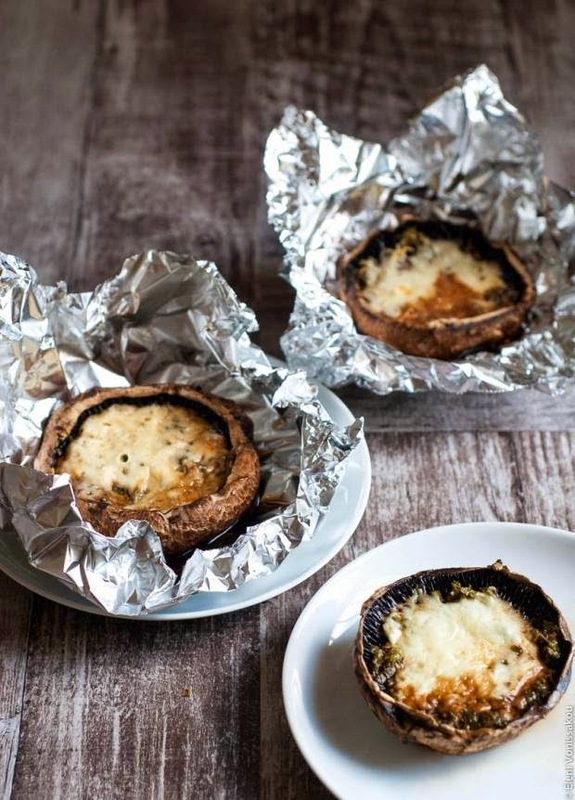 For Friday Favorites we spotlight past recipes that you may have missed, and these Slow Cooker Stuffed Portobello Stuffed Mushrooms would make a delicious start for a meal. When I have guests for dinner I love to serve a little nibble before the meal to get the conversation started, and the minute I saw this recipe for Slow Cooker Stuffed Portobello Mushrooms from The Foodie Corner, I thought how perfect they’d be for a dinner party or holiday dinner appetizer. Long before you’re busy cooking the rest of the dinner, you can put these cheese-stuffed portobellos in the slow cooker and let them cook away. Your guests will love them! And check out 50+ Recipes for a Slow Cooker or Instant Pot Thanksgiving if you’d like more ideas for using your favorite cooking appliance for a holiday meal! Get the complete recipe for Slow Cooker Stuffed Portobello Mushrooms from The Foodie Corner. Use the Index for Appetizers and Snacks to see all the slow cooker and pressure cooker appetizer recipes that have been featured on this site.